Think about all of those monster budget CGI films that the studios trot out each year. Big budget, high risk and loaded with noise and special effects. They need to gross something like $200 million just to break even … it’s all about a bankrupt mindset that says bigger, louder and mind-numbing is better. The actual story be damned. So it always comes as a pleasant, even gleeful surprise, when a straight-forward two-person comedy (which is basically a couple of talented actors playing off of each other) scores mega bucks at the box office. There is a God … and despite all the despair, God has a sense of humor. 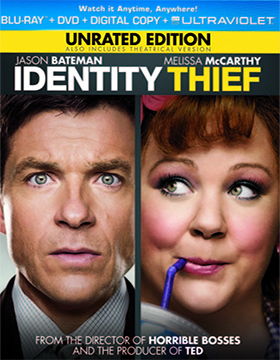 So when Universal Studios tallies up the box office take for director Seth Gordon’s Identity Thief, the little bean counters have to have a mighty big grin on their face. $130 million in domestic ticket sales for what amounts to a well-played; well-produced MOW. It’s a sitcom pilot … but it is sooooo sweet. Universal Studios Home Entertainment has targeted June 4 as the street date for DVD and Blu-ray/DVD Combo Pack (with UltraViolet) editions of this Jason Bateman/Melissa McCarthy bust-a-gut comedy … the ARR comes in at 116 days. 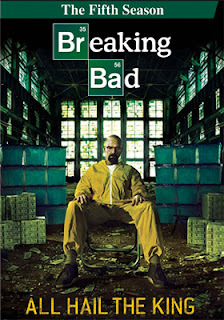 Best damn series on TV (cable or otherwise) these days. Of course that’s Breaking Bad, teaming Bryan Cranston with Aaron Paul as unlikely “big time” meth dealers who have managed to survive four full seasons without getting killed (or is that whacked?). On June 4, Sony Pictures Home Entertainment will be releasing DVD & Blu-ray editions of Breaking Bad: The Fifth Season … is this the end, or will Walt and Jesse somehow survive international cartels, a snoopy relative and their new “partner,” Mike (Jonathan Banks). As to bonus goodies, both the DVD (a three-disc set) and the Blu-ray (two discs) include commentary on all ten episodes, deleted scenes, outtakes and three featurettes — “Nothing Stops This Train,” “The Cleaner: Jonathan Banks as Mike” and “Chicks ‘N’ Guns: Behind-the-Scenes.” Exclusive to the Blu-ray are two additional featurettes. Also getting a street date assignment this week from Sony Pictures Home Entertainment is director Taylor Hackford’s Parker, starring Jason Statham in the title role — a double-crossed thief who sets out for revenge. The release date for both DVD and Blu-ray editions is May 21, which yields and ARR of 116 days — the box office take was $17.6 million. 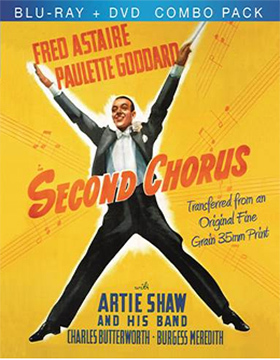 Film Chest announced this past week that director H.C. Potter’s 1940 romantic musical comedy, Second Chorus, will be heading to Blu-ray on May 14 as a Blu-ray/DVD Combo Pack. Restored from the original 35mm fine grain nitrate print, this Fred Astaire gem (Oscar-nominated for Best Song, “Love of My Life” — losing out to Pinocchio and “When You Wish Upon a Star” — and Best Music, Score) co-starring Paulette Goddard and featuring the big band sounds of Artie Shaw, includes a before-and-after restoration comparison and a commentary track by author Tom Santopietro. 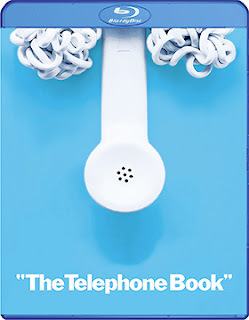 Vinegar Syndrome has tabbed May 7 as the street date for a Blu-ray/DVD Combo Pack release of writer/director Nelson Lyon’s 1971 cult comedy, The Telephone Book, which had a brief in-and-out theatrical release — unless you managed to catch this at a 1970s rep house run, this is little gem has to be viewed as a lost treasure. Sarah Kennedy (a Laugh-In regular and a few MOMs during the late 70s and then dropped out of sight) stars as Alice, a lonely young woman who falls in love with an obscene phone-caller and embarks on a serendipitous (sexual) journey to find him. Bonus features include commentary from producer Merv Bloch, vintage radio spots and a stills gallery. 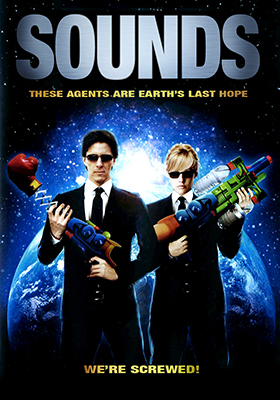 Writer/director Ryan Humphries’ sci-fi spoof, Sounds (aka: Sounds: Like Men in Black Chasing X-Files While Having a Close Encounter of the Wrong Kind!) will be heading to the home entertainment market place on June 25 with its DVD launch from Indican Pictures. In a remote wooded area two couples have cozied up for a romantic weekend. Just one problem, a meteorite has crashed to earth bringing an alien presence that could — maybe; possibly; with a luck — destroy mankind. It’s The Blob meets Teenagers from Outer Space … and more. One of the group, the alluring Rachel (Anna Pack), has been impregnated by the other world creature as is now host to what amounts to an egg farm — much worse than Alien or Aliens … or even Alien 3 (hard to image that anything could be worse than Alien 3). She is now host to an ever-growing alien invasion … and is still cute (well, sort of ... if she's not wolfing up alien eggs). No worries, the FBI is on the scene — Agent Styles (Richanne Baldridge) and Agent Miller (J. Peter Parker) — and the world will be saved. Excuse us while we snicker, the world will not be saves, Styles and Miller are idiots and Rachel is now vomiting up eggs left and right. You could run for your lives, but it would be a fruitless effort … the end times have arrived on planet Earth. Only two things stand in the way of humanity’s total destruction — the Type 11 Second Stage Micron Focal Wave Generator or her boyfriend (who took her out to the remote cabin in the woods in the first place). Hate to say this, but we really are doomed! 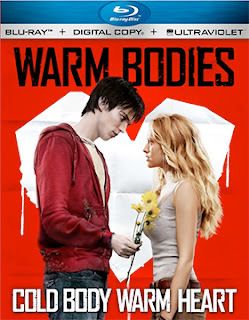 Not since Shaun of the Dead has there been a zombie movie quite like writer/director Jonathan Levine’s film adaptation of Isaac Marion’s novel of the same name, Warm Bodies. This Summit Entertainment film production will be released as both DVD and Blu-ray product offerings (both SKUs include UltraViolet) on June 4 by Lionsgate Home Entertainment. The ARR is 123 days and the box office haul is right at $65 million. Bonus features include commentary from director Jonathon Levine (50/50, All the Boys Love Mandy Lane), who is joined by Zombie R (Nicholas Hoult — X-Men: First Class, Clash of the Titans, etc.) and Human Julie (Teresa Palmer — I Am Number Four, Take Me Home Tonight, etc. ), plus there are deleted scenes, a gag reel and seven featurettes. 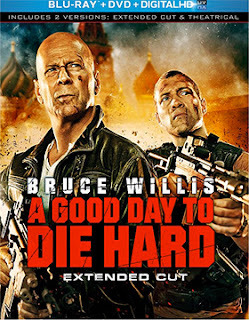 Yippee Ki-Yay all you John McClane fans … 20th Century-Fox Home Entertainment has tabbed June 4 as the street date for Blu-ray/DVD Combo Pack and DVD SKUs (with Digital Copy) of his latest adventure, A Good Day to Die Hard. 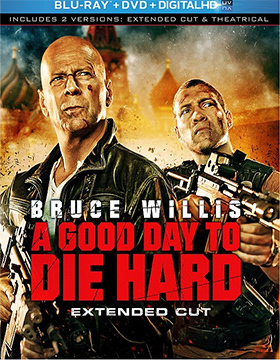 The ARR is 109 days and the box office take for the film’s domestic run was a little disappointing at $66.3 million (compare that with the 2007 release of Live Free or Die Hard, which pulled in $134.5 million). The problem appears to be the choice of John Moore as the director — he seems to be out of his element here (his last film being Max Payne in 2008) — and the script that Skip Woods (The A-Team, X-Men Origins: Wolverine) has delivered. Yes, it is a Die Hard movie, but it is just not as grand as some of the earlier presentations … unless they can talk screen writer Mark Bomback into delivering yet another multi-faceted story that takes the action to another level (as he did with Live Free or Die Hard) this might be the end of the line for McClane. Bonus features are all limited to the Blu-ray SKU. These include an “extended cut” of the film, commentary by director John Moore and first assistant director Mark Cotone, seven deleted scenes and five production featurettes. Who would have guessed that the simplest solution for passing out assignments to their operatives around the globe is being used by the stealthy CIA. Why they just broadcast codes that translate into specific instructions out in the open — remember those random expressions used by the British during World War II to tip off the French underground: “The cheese has green mold.” Same thing. That’s the concept behind director Kasper Barfoed’s The Numbers Station, arriving on DVD and Blu-ray from Image Entertainment on May 28 (a small theatrical break is planned for the last weekend in April). Emerson (John Cusack) is a long-serving CIA operative who badly bungles his latest assignment and should be heading for the exits, but is given a last chance to redeem himself with a seemingly simple assignment. 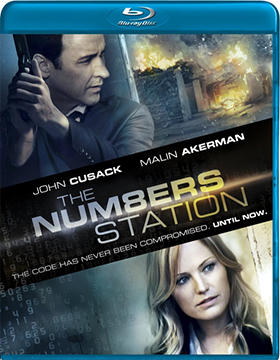 Just sit around and guard (ie: babysit) the code announcer (Malin Akerman — Stolen, Rock of Ages, Watchman, etc.) as the CIA’s secret station in England. Boring! But our antenna go up almost immediately in this spy-on-spy thriller … veteran agent, bungled job and a face-saving meaningless assignment. Hmmmm, that sure smells a lot like moldy cheese; it’s a set-up and Emerson is the patsy. Sure enough that’s exactly what happens as their secret hideout comes under attack and he and his code announcer are suddenly in a fight for their lives! No word on bonus features at this time.